Earlier this week Coca-Cola launched the "America Is Your Park" campaign to encourage millions of Americans to get active outdoors and to cast a vote for their favorite park in order to win a $100,000 recreation grant made possible by Coca-Cola's Live Positively initiative. From July 29 to August 31, people can go to LivePositively.com to cast a vote for their favorite state or national park to win the title of "America's Favorite Park" and a $100,000 grant from Coca-Cola for new activity equipment such as bikes (much needed in Smokies) and kayaks, or for the restoration and construction of activity areas. Right now, it's basically a two-way race between the Smokies and Little Ocmulgee State Park out of Georgia to win the prize. George Bagby State Park is a somewhat distant third. The Great Smoky Mountain Association and the national park is looking for volunteers to work at the Gatlinburg Welcome Center, located between Pigeon Forge and Gatlinburg on U.S. 441. The work entails answering visitor questions and providing information on destinations and resources of the park. Even one 4-6 hour shift per week could be a big help! If you're interested, email Alice@GSMAssoc.org or GWC@GSMAssoc.org. I don't know if anyone has noticed, but it's been a very deadly summer in Yellowstone and Grand Tetons National Parks this year - and it's not even August yet. 7/28 A mother bear and her three sow cubs went on a rampage just before dawn on Wednesday morning and killed one man and injured two others in a campground just outside of Yellowstone. Terrified campers sought shelter in their cars. Here's an interview with one of the victims on ABC News via Youtube. 7/27 A woman drowned after slipping into the Firehole River near Old Faithful. 7/21 One climber was killed and 16 others received moderate to severe injuries after a series of lightning strikes on the 13,770-foot Grand Teton. You can read more about the complex rescue operation by clicking here. 7/19 A 49-year-old woman from Utah was struck and flipped in the air by a bison in a thermal area near Old Faithful. Apparently the bison was provoked. Click here for the video of this incident that was shot by the victim. 7/14 A 65-year old man from Iowa died after losing his footing while fishing in the Yellowstone River. 6/17 A grizzly bear killed a veteran botanist in an attack just outside of Yellowstone. 6/1 A single lightning bolt injured 9 visitors on the boardwalk or on walkways around Old Faithful Geyser. 5/25 Two climbers died after the collapse of an ice column during an ice climb on a waterfall below the rim of the Grand Canyon of the Yellowstone. Humans weren't the only victims this year. Several bears were killed as well. In two separate incidents in June, a female adult black bear and a young grizzly bear were both killed by hit and run cars. To add insult to injury, two separate accidents in two days claimed the lives of two bears during capture attempts by park biologist. One was a young grizzly and the other a young black bear. In January of this year, a multi-jurisdictional law enforcement effort was launched to identify and prosecute drug traffickers operating in and around the Cherokee Indian Reservation and Great Smoky Mountains National Park. Today's National Park Service Digest is reporting that on June 3rd, an NPS agent, along with an agent from the ATF, saw a suspected drug trafficker traveling through the park. The agents followed the motorcycle from the park to a nearby barn on the Cherokee Indian Reservation, where they contacted the operator and found 30 pounds of marijuana in the bike’s saddlebags. The man was arrested by the NPS agent and charged with one count of trafficking marijuana. He was indicted for possession and conspiracy to sell and deliver marijuana. As part of the indictment, the government filed a notice of forfeiture for his 2004 Harley Davidson and a personal monetary judgment in the amount of $300,000, representing proceeds that he obtained throughout the course of the conspiracy. Although the report doesn't specifically mention it, is it possible that the contraband was actually grown inside the park? Secretary of the Interior Ken Salazar announced earlier in the week that the National Park Service will waive entrance fees on August 14 and 15 to encourage all Americans to visit our national parks. * Ranger-led programs with free instruction and equipment loans for those who want to get wet. Enjoy snorkeling at Cape Cod, kayaking at DeSoto, or canoeing in Congaree or Big Cypress. Prefer to simply chill out near the water? Bring your blanket to one of the 50 parks with beaches. * Watch history come to life at military encampments and firing demonstrations at Antietam, Gettysburg, Fort Laramie, Fort McHenry, Fort Vancouver, Fort Stanwix, Fort Matanzas, Kings Mountain, Wilson Creek, Kennesaw Mountain, and Yorktown. * Dance or tap your toes to the sounds of the Pig War Band at San Juan Island, Cajun music at Jean Lafitte, Ojibwe music at Grand Portage, mountain music on the Blue Ridge Parkway, folk songs at Carl Sandburg, classical music at Saint-Gaudens, or dulcimer music on the Natchez Trace Parkway. The entrance fees being waived at the 146 sites usually charge for admission range from $3 to $25. There are 246 other parks that do not have entrance fees so you can plan a free visit year-round. The fee free waiver does not include other fees collected in advance or by contractors—such as fees charged for camping, reservations, tours and use of concessions. A 35-acre tract of forested land next to the Blue Ridge Parkway near Browning Knob has recently been purchased to safeguard its scenic views and wildlife habitat. The Mount Lyn Lowry property, adjacent to the Parkway on the Jackson-Haywood County line near Waterrock Knob (between Mileposts 449 and 450), was purchased by the Conservation Trust for North Carolina with funds from private donors. CTNC plans to convey the tract to the National Park Service for inclusion in the boundaries of the Blue Ridge Parkway. Join a Blue Ridge Parkway ranger for a summer wildflower walk on Frying Pan Mountain this Friday, July 30. This moderate, one hour walk will begin at Milepost 409.6 one mile south of Pisgah Inn at 10:00 AM. Bring water and wear good hiking shoes. Great Smoky Mountains National Park is a 3.3% increase in visitors this year compared with the same period last year. For the month of June, visitation was up 15.1% compared to last year. However, park spokesman Bob Miller said that's not an accurate reflection of a rise in tourism to the park. Miller said in a press release that there was construction near the Cherokee Orchard Road counter, just outside of Gatlinburg, which could have skewed statistics showing an 11-fold increase at that entrance. * The Gatlinburg entrance was up 4.9% versus last June. * The Cherokee entrance was down 3.6 percent. Congratulations on another successful Tour de France. The 97th edition of the Tour was an exceptionally exciting and dramatic race to follow this year. Over the course of its history the Tour de France has visited more than 10 countries. I would like to propose to you that the time has arrived for the Tour to visit North America. This would electrify the American sporting world, and would undoubtedly be a major marketing coup for Tour organizers. People would come from all over North America for the chance to witness in person the greatest race in all of sport. In fact, I would argue, a visit to the continent would be bigger than the Lance Armstrong era. Bringing the Tour de France to North America in early July would come during a void in the American sporting calendar. The NBA and NHL Finals are already completed, and there would still be several days before Major League Baseball’s All-Star Game is played. The Tour would be front and center stage in the sporting world for those few days. Tue: Rest day – fly back to France. I would also argue that there would be no better time to do this than during the Tour’s 100th edition of the race. What better way of treating this special anniversary than by doing something bold and completely different? With the permanent retirement of Lance Armstrong after this year, American cycling will need a shot in the arm. Look what happened to ratings on the Versus Channel during his retirement years. The Tour cannot afford to allow American cycling to go backwards at this junction. Just as Greg LeMond and Lance Armstrong have done in the past, a visit to North America by the Tour de France would inspire a new generation of cyclists and cycling fans, and provide the Tour with a greater fan base. The Blue Ridge Parkway recently announced a three-part series of programs regarding the building of the BRP. All three programs will be held at the Peaks of Otter near Milepost 86. The first program, “The Early Years 1906-1936”, will focus on the politics, planning and groundbreaking of the road. The program will feature National Park Service Ranger David Meyer and will be presented in the Flat Top Room of the Peaks of Otter Lodge at 2 p.m. on Sunday, August 1. On Saturday, August 7 at 8 p.m., National Park Service Ranger Greg Baltad will present “The Difficult Years, 1937-1963” at the amphitheater behind the visitor center. This program will also be repeated on August 15 at 2:00 p.m. in the Peaks of Otter Lodge. This presentation concerns the construction delays during World War II and other problems that were encountered in efforts to complete the roadway. The last program, “The Most Visited Roadway—1964-Present” will take place in the Peaks of Otter Amphitheater on October 16 at 8 p.m. and will discuss the construction of the Linn Cove Viaduct and the completion of the 469-mile parkway in 1987. This program will also be repeated on October 24 at 2:00 p.m. in the Peaks of Otter Lodge. For information contact Ranger Paulette Mullinax at grannylou2@verizon.net or the Peaks of Otter Visitor Center at (540) 586-4496. In the June issue of Backpacker Magazine, author Kelly Bastone offers up her top 10 animal viewing tips. 2. Hike at a leisurely pace. 4. Hike in the right weather. 5. Call wildlife biologists (at a park or college) and rangers. 7. Look for parts and portions. To learn more and read the full article, please click here. Since glaciers retreated around fifteen thousand years ago, rock fall has been the major force of change in Yosemite Valley. Below is the latest video from Yosemite National Park. As part of a series known as Yosemite Nature Notes, the video chronicles the role of rock fall in the evolution of the famous granite walls that dominate Yosemite Valley. It features a cliff-side interview with a rappelling park geologist, and some amazing rock fall footage that was captured by a passing tourist. That same tourist revisits the slide area the following year and compares what he saw in his view finder to the actual rocks at the slide area. Pretty amazing. I've been hiking in Colorado on a couple different occasions when we heard the loud crack of rock hitting the ground below a cliff face. It's kind of a frightening sound. Fortunately we were far enough away to be in no danger on those occasions. Although you may not realize it, the Great Smoky Mountains is not immune to rock slides. In 1951 Mt. Leconte experienced a massive debris slide after a cloudburst dropped 4 inches of rain in just one hour. The series of slides created the large V-slash on the south side of the mountain. Want to go to the next tailgating party in style? How about a little team building with your co-workers? Check out the PedalPub out of Minneapolis, Minnesota. The PedalPub carries up to 16 passengers, plus the driver. There are 5 pedaling seats on each side, plus one non-pedaling seat over the rear wheels. There's also a bench in the back of the PedalPub that seats three, plus one standee spot in the middle for the "bartender". Although "cyclists" will be consuming lots of energy providing carbohydrates on this ride, there's no chance you'll be passing Lance Armstrong along the way. The maximum speed for the "bike" is only 5 MPH. 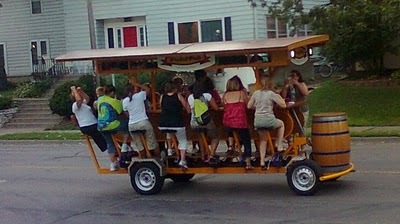 A change in Minnesota State Law in 2008 allows passengers aboard the PedalPub to consume alcohol while riding the bike. Pedalpub also practices responsible driving. An employee of the company is the designated driver for all rentals. The worlds most expensive beer? Perhaps. 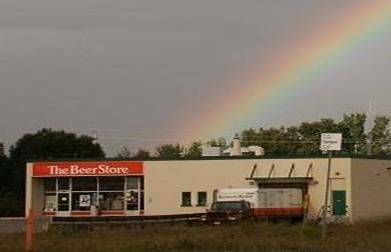 The highest alcohol content (55% ABV) for a beer in the world? Likely. 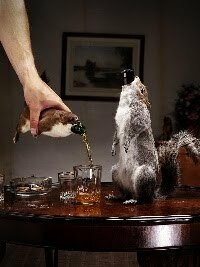 Most unique, bizarre and controversial presentation of a beer? Definitely! Brewdog Brewery out of Scotland has been selling an extreme beer known as The End of History. The name comes from the famous work of philosopher Francis Fukuyama who defined history as the evolution of the political system and traced this through the ages until we got the Western Democratic paradigm. For Fukuyama this was the end point of man’s political evolution and consequently the end of history. Brewdog claims this beer is the last high ABV beer they're going to brew, the end point of their research into how far they can push the boundaries of extreme brewing; the end of beer. As you can see in the photo on the right, the beer is sold with a bottle wrapped in the carcass of a small rodent. Although they're currently sold out, the price tag for for U.S.-based buyers after currency conversion, tax and shipping, comes out to $800 to $1,100 per bottle! As Brewdog states on their homepage, they are a beacon of non-conformity in a increasingly monotone corporate desert. Amen to that! Now this next one almost put a lump in my throat. I seldom pass along inspirational stuff, but this one really got to me. I do believe, that in these difficult and mean-spirited times in which we live, there needs to be a message of hope. We can all use a single image that speaks to us of love, harmony, peace, and joy. An image that suggests the universality of us all. I have been sent that image, and I want to share it with You. Blue Ridge Parkway rangers will be leading a moderate, one-mile hike along the Art Loeb Trail to the summit of Black Balsam Knob in the Pisgah National Forest tomorrow. The hike begins at 10 a.m. and will climb to an elevation of 6,214 feet. The guided, one to two-hour roundtrip hike through alpine-like terrain will begin approximately 0.8 miles off the Blue Ridge Parkway on Forest Service Road 816, roughly a mile south of Graveyard Fields near Milepost 420. Hikers should bring water, wear good hiking shoes, and be prepared for unpredictable mountain weather. For additional information, call 828-298-5330, ext. 304. Tom Mangan has a very imformative article on Trailspace.com regarding the threats of invasive species and how to limit their spread. He discusses in detail threats posed by Mountain pine beetles, wooly adelgids and the Emerald Ash Borer, but also mentions that trees aren't the only species at risk. Especially in the west, the Mountain pine beetle is decimating thousands of acres of pine forests in the Rockies. Not mentioned in the article is the threat of massive wildfires in the areas that are now ghost forests. • Wash your vehicle to get plant materials out of your tires and undercarriage. • Rinse gear, pressure-wash boats, skis, and other vehicles on site; organisms can get into any place water can get into. Use hot water if available. • Clean your shoes or boots by knocking dirt and plant materials out of the treads. Carry a boot brush in your car or pack. Rinse soles. • Wear short gaiters to keep sticky seeds out of your socks. • Shake out your tent and other gear at the campsite to remove any plant or seed materials. • Brush off or wash your pets if they have been out romping in the parks. Sticky seeds can hitchhike on their fur. Next Monday night, July 26th, is the second in a series of "Full Moon" hikes in Cades Cove of the Great Smoky Mountains this summer. 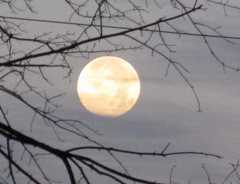 This is an excellent opportunity to take a stroll in Cades Cove under a full moon. If interested, meet at the Orientation Shelter near the entrance to the Cades Cove Loop Road. The hike is from from 8:00 PM to 10:00 PM. The Waynesboro News Virginian published an article over the weekend that highlighted some of hazards faced by the Appalachian Trail. The motivation for the article stemmed from a National Parks Conservation Association study (PDF) that was released earlier in the year that listed many of threats the AT is facing, including invasive plant species, power lines, pipelines, race tracks, quarries, cell towers and wind turbines. Among those projects are Maine Mountain Power’s proposal to build 30 400-foot wind turbines adjacent to the trail corridor on the ridges of the Redington and Black Nubble Mountains. Some of the turbines are proposed for within one mile of remote and scenic sections of the trail. Last December, Nature Valley announced it would fund key programs in three national parks across the country this summer. With the guidance and support of the National Parks Conservation Association (NPCA), the division operated by General Mills will donate at least $250,000 to the NPCA - 10 cents for every specially marked granola bar wrapper sent to Nature Valley. Funds will also be raised through Kenney Chesney’s summer concert tour (see his PSA below), Nature Valley's Facebook outreach project, and a partnership recently announced with best selling author Patricia Schultz, who wrote the book 1000 Places To See Before You Die. All told, contributions are expected to grow to more than $500,000. Nature Valley will also be giving away three trips to Grand Canyon National Park. For more information on the project and the contest, please visit PreserveTheParks.com and the company's Facebook page. Every other Saturday from July 24 - September 18, Blue Ridge Parkway rangers host hikes that take visitors to Rock Castle Gorge, located roughly half-way between Roanoke and the North Carolina-Virginia line (roughly 50 miles from either direction). For those interested, meet at the Rocky Knob Cabins off of Woodberry Road (Milepost 167) to join a ranger on a five mile hike and learn about the history of the community that existed in this area from the late 1700s until the 1930s. Wear good hiking boots and bring water and lunch. There will be several stream crossings, so wear or bring waterproof shoes. The hike will end at the lower end of Rock Castle Gorge Trail at the CC Camp Road off of Route 8. Shuttle back to cars will be provided for drivers, or you may set up your own shuttle ahead of time, or hike back to the starting point. There are 5 dates left for these hikes this year: 7/24, 8/7, 8/21, 9/4 and 9/18. Call ahead (540-745-9662) to verify dates, or for directions or information about the shuttle. Below is an email update I just received from Peter Barr, author of Hiking North Carolina’s Lookout Towers. Peter is making steady progress on two of his main goals this summer: hiking the entire length of the Appalachian Trail, and raising funds to help restore the Shuckstack Lookout Tower in the southwestern corner of the Great Smoky Mountains National Park. I have finally reached New England on my Appalachian Trail thru-hike, having hiked about 1,500 miles to this point. To say the least, my hike has absolutely been an adventure of a lifetime. I hope everyone has been following my progress at my online journal at www.PeterOnTheAT.com. The journal entries remain a bit behind schedule but are now posted regularly. You can still track me in real-time with the Twitter feature on the right-hand side of the website, or by visiting http://www.twitter.com/whippersnap. I am so very fortunate to have been interviewed and offered the position with a land conservancy that I was seeking in western North Carolina. Beginning September 1, I will begin an internship with the Carolina Mountain Land Conservancy in Hendersonville, NC. Both Allison and I will be moving to the mountains of North Carolina at that time. I am very excited about this second adventure that will begin immediately following the completion of my AT hike: a new job and a new place to live. Because of the position's starting date, I will be completing my Appalachian Trail thru-hike by the end of August. It will require a dedicated pace with little time off during the remainder of my hike to finish on schedule. I am very excited to report that my goal of raising one dollar for every mile that I hike on the Appalachian Trail - $2,178 - for the restoration of the Shuckstack lookout tower, has been met and surpassed! With still nearly one-third of the entire Trail remaining to hike, I am creating a second challenge of reaching $3,000 for Shuckstack, an additional $800. Many people have asked me and continue to ask me how they may help me on my AT adventure. I have always said, and I continue to reiterate, that contributing to my Shuckstack restoration fundraising campaign is the single most important action that you can perform to help me on my hike. Please help me reach my goal of raising $3,000 to save the Shuckstack lookout tower. To help me by contributing, visit http://www.SaveShuckstack.com. Thanks so much for the interest in my AT thru-hike. I hope to catch up with everyone once I return from Maine in September! A black bear biologist from Minnesota has stirred up a bit of controversy with his proposal that feeding bears actually keeps them out of trouble with humans. blame for so-called nuisance behaviors. Placing food such as nuts, sunflower seeds, or even beef fat away from potential problem areas in situations where bears might be desperate—such as during droughts—can reduce break-ins and other potentially dangerous human-bear interactions, he said. middle of an area with homes and campsites. You can read the full story from National Geographic News by clicking here. The Great Smoky Mountains National Park is again looking for Citizen Scientist volunteers to help researchers collect scientific data on ash trees by mapping the locations of these trees within the Park. The mapping project, which will take several years to complete, will be used to monitor future threats from a nonnative insect. People are again being invited to join park biologists and educators during a field day on Saturday, July 31, from 9 a.m. to 1 p.m. Volunteers will learn how to identify ash and other common trees found in the Smoky Mountains, read a topographic map, and use a GPS (Global Positioning System) unit. Maybe it's just me, but I'm having a hard time trying to understand what the “America’s Great Outdoors Initiative” is all about. Seems to me that it's just an excuse to just spend more money - our tax dollars. • More education about the outdoors in schools, as well as more funding for outdoor learning and field trips. • Increased funding for local, state and federal parks and programs to promote the outdoors. • Draft public figures and celebrities to launch a media campaign to encourage young people to get outside. 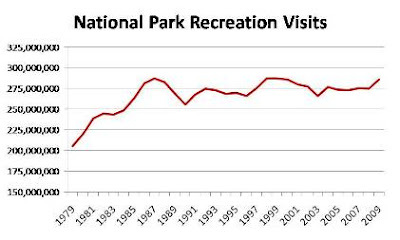 After a sharp increase in the early-eighties, visitation to our national parks has been relatively flat. Why is that bad? I would also point out that with the sharp increase in the number of wilderness areas around the country in recent years, there may be more people who are electing to go to those places rather than a national park. Furthermore, the Outdoor Foundation found in its 2010 Outdoor Recreation Participation Topline Report that Americans are spending more time outside. The report shows a 3.3% increase in what they call “core” outdoor activities (from 97.5 million to 100.7 million Americans ages 6 and above) during 2009. The report also found that participation in hiking has increased by 8.4% over the last nine years. Perhaps more importantly, why do we want more people in our parks anyway? Is it really a good thing? Just a few years ago the headlines were constantly screaming that we were loving our parks to death. Now we want to make them even more crowded? If the purpose of this listening tour is to try to encourage more children to visit our parks, this obviously means they'll likely be visiting during the summer when school is out. Think about how crowded parks like the Great Smoky Mountains, Yellowstone, Grand Canyon and Yosemite already are during the summer months. From my vantage point, I don't see a lack of love for our national parks as being a problem. What do you think? Am I missing something? Great Smoky Mountains National Park is recruiting for volunteers to participate in the Adopt-a-Trail (AAT) program, an effort that helps to maintain the Park’s 800-mile trail system. The Volunteers in Parks (VIP) program has integrated volunteerism into many of its Park operations, including trail maintenance that covers everything from picking up litter to removing treefalls and reporting trail problems to the Park. A mandatory training program is scheduled on Saturday, July 31, in the North Carolina area of the Park for those who are interested in participating in the program. AAT volunteers must be 18 years of age or older and in good physical condition. They are expected to hike/patrol the trail(s) at least eight times per program year--March through October. Specific trail duties include: Collect and remove litter; clean waterbars and drainage systems; perform brushing and removal of small windfalls or branches (hand tools only); perform minor trail tread maintenance; remove illegal campsites and fire rings found along trail; inspect trail and trail signs; and promote Leave No Trace outdoor ethics. The training will be held on Saturday, July 31, from 9 a.m. to 4 p.m. at the Park’s North Carolina Trail Shop Training Room near the Oconaluftee Visitor Center, 2 miles north of Cherokee. In order to attend, participants must register by July 26 by email with Christine Hoyer, Trails and Facilities Volunteer Coordinator, or by phoning (828) 497-1949. The later part of the training will take place outside on the trail so people should wear appropriate clothing including sturdy footwear. Also, a packed lunch will be necessary. If you are interested but are unable to attend the July training, please feel free to contact Christine Hoyer to be placed on a mailing list to attend future training sessions in Tennessee as well. As I mentioned in a post from a couple of months ago, Danny Bernstein from the Carolina Mountain Club has organized a series of trail workdays in the Great Smoky Mountains this summer. The workdays are in conjunction with the Trails Forever program. The next workday will be next Saturday, July 24th, from 9:00 a.m. to 3:30 p.m. Volunteers will be working on the first few miles of the Rainbow Falls Trail. Work will include cleaning drains, pruning vegetation, and digging out sloughed off bank to redefine the trail head. Join Blue Ridge Parkway rangers tomorrow at 10 a.m. for a short but steep half-mile hike to the summit of Devil's Courthouse. The summit, which sits at an elevation of 5,720 feet, offers 360-degree views and allows you to see into four states on a clear day. 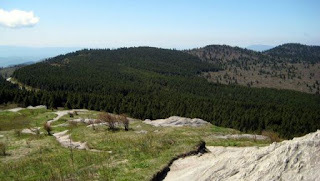 The one-to-two hour roundtrip hike will start at the Devil's Courthouse Overlook (Milepost 422.4). Hikers should bring water and be prepared for unpredictable mountain weather. For more information, call 828-298-5330, ext. 304. The Advertising Council recently joined with the USDA Forest Service and the National Association of State Foresters (NASF) to launch a new series of public service advertisements (PSAs) and an educational DVD for elementary school students designed to provide critical information to Americans about wildfire prevention. Since his “birth” on August 9, 1944, Smokey Bear has been a recognized symbol of conservation and protection of America’s forests. His message about wildfire prevention has helped to reduce the number of acres burned annually by wildfires, from about 22 million in 1944 to an average of just 6.5 million today! However, wildfire prevention remains one of the most critical environmental issues affecting our country. Many Americans believe that lightning starts most wildfires. In fact, on average, 9 out of 10 wildfires nationwide are caused by people. The principle causes are campfires left unattended, trash burning on windy days, arson, careless discarding of smoking materials or BBQ coals, and operating equipment without spark arrestors. Since 1944, Smokey Bear has been communicating his well-known message, “Only You Can Prevent Forest Fires.” It's the longest running campaign in Ad Council history. Launched this year the newest PSAs in the campaign feature a modern version of Smokey Bear with the call-to-action to Get Your Smokey On and speak up if you see someone in danger of starting a wildfire. For those of you feeling a little nostalgic about the old campaign ADs from back in the day, you can visit Smokey Bear's Channel on Youtube to see some old favorites such as Sleeping Beauty and the classic Bambi ADs. In all, there are 59 videos from past and present on the channel right now. Whether you’re a birder or mountain biker, paddler or hiker, photographer or hunter, now is your chance to speak up about the future of outdoor recreation in America. Registration is already closed, but you can still provide input, and vote on ideas already submitted, by clicking here. You can find more information about the process by clicking here and here. Every Wednesday between tomorrow and August 11, the Great Smoky Mountains sponsors a weekly program called Safe Hiking in the Smokies. The program is held at the Newfound Gap Overlook from 12:30 PM to 1:15 PM. Visitors to the park can learn about hiking safety practices, including changing weather conditions in the Smokies, appropriate dress, and what should be in your backpack. The program is accessible to persons using wheelchairs. Almost two years ago I posted an article about adventurer Bruce Nelson. Right now he's tackling the 2650-mile Pacific Crest Trail. So far he's already completed over 1000 miles. You can follow along on his trek, and check out some excellent photographs, by clicking here. Speaking of the PCT, I recently saw an excellent program on the trail on the National Geographic Channel. It's part of the America's Wild Spaces series. Not sure if they will be showing the program again, but you could check with the Nat Geo website for more information. 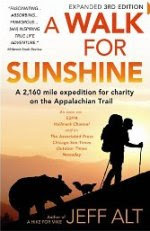 The A Walk for Sunshine / Appalachian Trail Show movie premieres in Asheville next Tuesday, July 20, at the Fine Arts Theatre. In this documentary of engaging tales and stunning photography, author, adventurer and story teller Jeff Alt takes you with him on his 2,000 mile hike along the Appalachian Trail. Alt shares humorous and hair raising animal encounters of sleeping with a skunk, being charged by a bear, chased by a bull, wild ponies, moose, mice, and his hilarious food cravings, all for a noble cause. Alt's brother, Aaron, lives at the Sunshine Children's Home; a home for people with developmental disabilities. Alt's adventure inspired an annual Walk-With-Sunshine event which has raised over $180,000 for Sunshine. The movie is based on Alt's award-winning book, A Walk for Sunshine. The Fine Arts Theatre is located at 36 Biltmore Avenue in Asheville. For more information on viewing the movie, please click here. This coming weekend (July 16 - 18) is the Grassy Ridge Mow-Off on Roan Mountain. The Southern Appalachian Highland Conservancy is sponsoring a volunteer weekend to help keep the Roan Highlands bald. You can work all three days, or just one. Activities include blackberry mowing with heavy-duty weed whackers, cutting of shrubs and small trees with lopping shears and hand saws, and toting cut shrubs away from the mowing or high visibility sites. The following weekend (July 22 - 24) is the Roany Boyz (& Girlz). This is another opportunity to volunteer on the Roan. The Roany Boyz crew will work on Engine Gap (just over the top of Round Bald). This work trip is also flexible, come for a day or as long as you like! Contact Carol Coffey if you would like to volunteer at caroltee@aol.com. No Way Down: Life and Death on K2, the new book from Graham Bowley, is getting a lot of attention since being released a couple of weeks ago. Although several hundred feet shorter than Mt. Everest, K2, the second highest mountain in the world, is far more dangerous. The death rate on K2 is much higher than that of Everest. In No Way Down, Bowley re-creates one of the most dramatic tales of death and survival in mountaineering history, taking readers through the tragic 2008 K2 ascent that claimed the lives of eleven climbers, severely injured two others, and made headlines around the world. I came across this video that I thought was quite interesting. It's kind of like a movie trailer - except it's for the book. Great marketing idea! For more information on No Way Down, please click here. 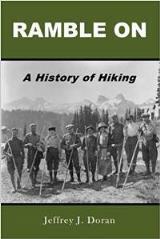 To see our full list of books, including our expanded list of titles for mountaineering and survival classics, as well as the Great Smoky Mountains and Southern Appalachians, please click here. The black bear, the symbol of Great Smoky Mountains National Park, will be the topic of discussion at a special presentation at Sugarlands Visitor Center on Saturday, July 24 at 10:00 am. Kim Delozier, GSMNP wildlife biology supervisor, will bring you up to date on the bear population, the mast situation, the human problem of feeding bears, and what to do and NOT do if and when encountering a bear in the park. Other interesting facts will be covered and you'll be able to ask Kim questions following the program. This is a very timely topic given the increase in bear sightings and the recent encounter between a visitor and bear in the vicinity of Laurel Falls. There is no fee for the program, however, the Great Smoky Mountains Association would appreciate a call to register at 865-436-7318, Ext. 222 or 254. Cumberlink.com posted an article on their website last week stating that the Appalachian Trail Museum is already preparing for Phase 2 of their opening. 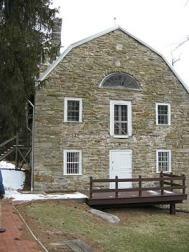 Located in Pine Grove Furnace State Park at the midway point of the Appalachian Trail, the museum opened its doors to the public on June 5. The museum's first exhibits tell the stories of the founding, construction, preservation, maintenance, protection and enjoyment of the trail since its inception in the 1920s. Among the trail pioneers honored with exhibits are Benton MacKaye, who is credited with conceptualizing the Appalachian Trail, and Myron Avery, who is credited with spearheading construction of the trail that was completed in 1937. Second-phase exhibits will continue to portray not only the history of the Appalachian Trail, but also the essence of the physical, intellectual, emotional and spiritual human experience of the Appalachian environment and the culture of hiking, said Larry Luxenberg, president of the Appalachian Trail Museum Society. Among the exhibits in the second phase will be hiking and trail maintenance artifacts, he added. Friends of the Mountains-to-Sea Trail recently launched a new website. The website redesign, which makes navigating much easier and contains more useful information, was made possible by a special grant from REI. * A bill which would allow a specialty license plate for the MST. They've made a big difference for other parks and trails at no cost to state government, and one could make a big difference for the MST too. * Continued funding of $108,000 for the Adopt-A-Trail program which makes small grants to support trails all over the state. The budget is so tight this year that we are concerned that this great program may be eliminated entirely unless legislators hear from people who care about it. * Continued funding for the state's four conservation trust funds that help acquire land and easements for trails, parks, clean water, farmland protection and wildlife. Over the last two years, these funds have helped acquire key tracts for the trail in Guilford, Alamance and Johnston counties. For more details, check out the latest Friends of the MST newsletter. This past Tuesday night, WRAL out of Raleigh, NC broadcasted an excellent short documentary on the Blue Ridge Parkway. The film will also be shown in Charlotte and Durham over the next several days, and on UNC-TV, the statewide PBS network, at some point as well. Fortunately you don't have to live in North Carolina to see the film. WRAL has made the 22-minute film available on their website. In addition to a short historical overview, the film tells the story of the Parkway as seen through the eyes of visitors and some of the small business owners who depend on the road for their living. The film also includes two people that frequent readers of this blog may recognise. Smoky Scout and Danny Bernstein offer up the hikers perspective of the Park. The fugitive black bear of Red River Gorge is still on the run. Federal officials have placed an All Points Bulletin (APB) on a black bear in the Red River Gorge of central Kentucky. Officials from an array of Federal agencies are combing the Red River Gorge wilderness in search of the bear that became famous after becoming the first black bear to attack a human in modern Kentucky history earlier this week. The terror brought on by the attack has forced the closure of the 29,000-acre Red River Gorge Geological Area. Although exact numbers haven’t been provided, officials in Washington DC say it’s the highest number of feds scouring a wilderness area since the Eric Rudolph case. Helicopters, Karelian Bear Dogs, U.S. Army Scouts and Dog the Bounty Hunter have all been deployed to the area. After the bungled Gulf oil spill response, local residents have expressed shock that the U.S. government was able to respond in such a short amount of time. Hourly updates on the progress of the hunt are being provided by media outlets across the state and beyond. As always, the media is doing its best to keep the public calm while the fugitive remains on the loose. Just as the bear that bit the hiker near Laurel Falls in the Great Smoky Mountains received a name, I think it’s appropriate that we give the fugitive bear in question a name as well. I think we should call him “Red” – “Red the black bear”. A National Forest Ranger, who refused to give his name, stated that he believes that Red is hiding out in the disputed and highly lawless mountainous region along the Wolfe County - Menifee County line. Another ranger is theorizing that fellow bears in the area are providing Red with safe houses, allowing him to stay in their dens during the day, which allows him to stay on the move at night. There are also rumors that humans sympathetic to Red’s cause are providing assistance, including leaving food items out at night for him as he travels from den to den. Although Red has no known priors, it’s suspected that his parents were behind several bluff charges and dumpster raids in Virginia several years back. Just hours ago, a young anchor from a Lexington TV station - fresh out of college, reported from a helicopter dispatched to the scene that they thought they had found the bear escaping in a white SUV. From the air the crew followed the vehicle down the Mountain Parkway all the way to Compton until they discovered that it was actually a former NFL Football star. Purportedly he played in Chicago. Stay tuned as the hunt continues. A new video podcast, Day Hiking and Wildlife, associated with the recently launched program “Reward Yourself - Hike the Smokies Challenge”, is now available for viewing. This 6-minute podcast is the second of a three-part series on hiking safety and informs the viewer of wildlife behavior, particularly black bears, and the appropriate responses and regulations to be followed by Park visitors. The chance of seeing wildlife in the backcountry is one of the exciting things about hiking, but it's important to understand the rules and regulations and proper etiquette for a safe and rewarding experience when visiting. The video podcast is an in-depth informational piece about bear country and sets up practical advice for keeping bears wild and away from people and developed areas. Kim Delozier, the park’s chief wildlife biologist, is featured in the podcast and emphasizes the responses people should make and actions to take if encountered by a bear on a trail. The first podcast developed for this program, Day Hiking in the Smokies: Expect the Unexpected, is a 5-minute video on weather and how to prepare and respond to potential weather extremes and the mountainous terrain. Both podcasts, developed by Great Smoky Mountains Association, can be viewed at the Hike the Smokies Challenge webpage. Be forwarned: the "acting" in this newest video is a little distracting from Mr. Delozier's excellent advice on what actions you should take if you were to encounter a bear on the trail. For the last two years the Tennessee Eastman Hiking & Canoeing Club has been working to relocate the Appalachian Trail between Grassy Ridge and Bradley Gap, replacing the route originally installed in the 1950’s that basically goes straight up and down every summit. Trail locations such as this along the fall line result in high erosion, especially in areas with heavy use, high precipitation, and soft soils, all characteristic of the Roan Highlands. The TEHCC is nearing completion of this project with two relocations remaining, one on either side of the Stan Murray Shelter. In conjunction with the Appalachian Trail Conservancy's Konnarock Crew, the TEHCC hopes to complete the project this summer and is looking for volunteers to help out. There are two Crew work weekends left this year: July 8-12, and August 5-9. The Crew arrives on Thursdays and will stay at the Overmountain Shelter. They finish up and break camp by Monday around lunchtime. Friday, Saturday, and Sundays are the best days for volunteers to help with those being full work days. For more information, click here, or contact Joe DeLoach at 423-753-7263 or Carl Fritz at 423-477-4669.